You can begin to acquire the success attributes that you need to achieve your abundant success starting RIGHT NOW! Achieve your highest and best! 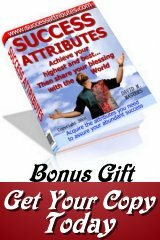 Hello and thank you for visiting successattributes.com. My name is David Masters. Since the eighties I have been helping average everyday, normal people achieve heights of success that all but boggles the mind. My life's mission is to empower as many people as possible to achieve their highest and best. Every lesson will contain a different trait that you'll want to take a look at and see if you need help with...chances are you'll want to look at EVERY one of them! Each lesson will have an exercise...don't worry, it's short and sweet...plus something for you to memorize to help program your mind to absorb these traits that are so important to your success. DON'T WORRY...these lessons will take MAYBE a minute or two to read. Using a combination of modalities, we can help you overcome the obstacles that may be preventing success and fulfillment in your life. How does one achieve their highest and best? The answer is not an easy one. I have a gift in helping people recognize roadblocks - overcome them - and experience abundance. Would you like to achieve true happiness and abundance in your life? Simply stated, I can help you chart out a path, so that you're doing what you need to do to get where you want to be. Discover and embrace your inherent gifts. Experience love, peace and harmony as you bring all the various activities in your life into alignment with your life's purpose. By signing up for our free E-course, you and others around you will begin to see and feel the subtle changes within. As we get to know each other better, you will have an increased sense of purpose and desire to fulfill your destiny. Is it really free? YES. No catch. Just enter your name and email address in the form (above) and over the next month, you will begin to see the possibilities. Granted, it is not enough to sign-up. You must be willing to do the work. The work consists of a few moments spent with the assignments each and every day. If you can successfully complete the E-course, you will be well on your way to life-changing prosperity. Prosperity is easily achieved when one places themselves in harmony with the universe, thus initiating the Law of Attraction.